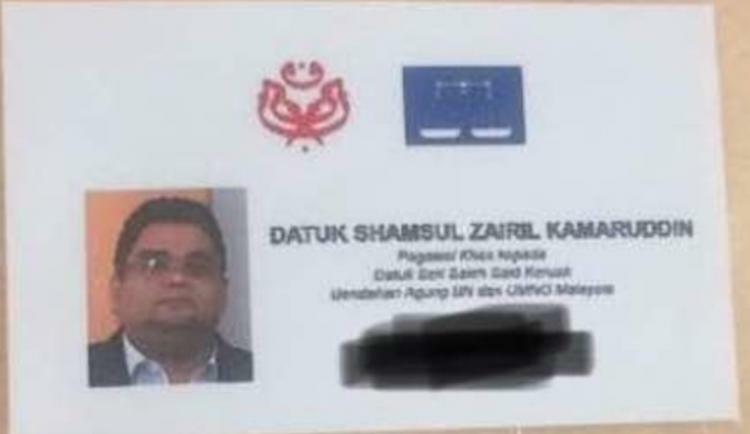 The Malaysian Anti-Corruption Commission (MACC) has begun an investigation into a claim that Umno paid RM90 million to PAS leaders to secure their support for the party, according to a source. It said the MACC opened the investigation after receiving a report on the matter from the police yesterday. The source said the MACC would call up several people for questioning as part of its investigation. “We request all quarters to exercise patience and not make any kind of speculation as to the investigation,” the source told Bernama today. It said the probe was being conducted in accordance with the MACC Act 2009 and the Anti-Money Laundering, Anti-Terrorism Financing and Proceeds of Unlawful Activities Act 2001. The MACC later confirmed in a statement that it had received a report in relation to the alleged RM90 million suspected to be from 1Malaysia Development Berhad (1MDB) funds deposited into the accounts of several PAS leaders. It said a member of the public had lodged a police report yesterday and the report was referred to the MACC. As such, it said, the MACC would begin an investigation based on the relevant powers and laws. 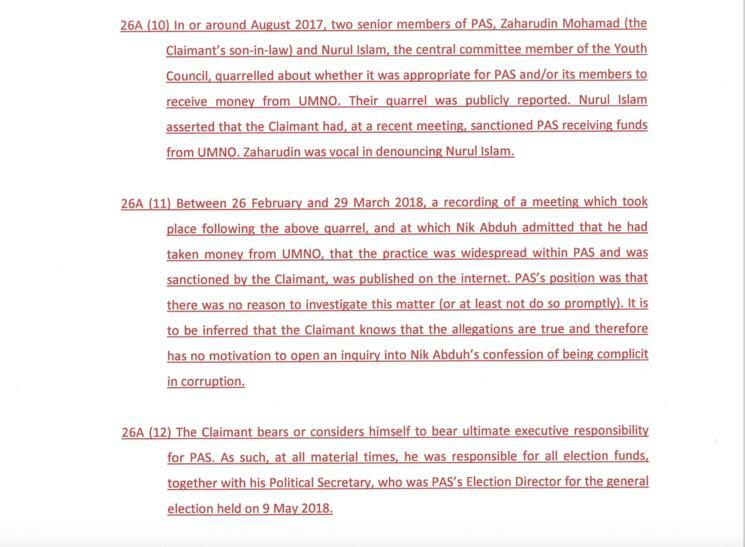 The best his lawyers could say on Hadi’s behalf was that the PAS leader thought it was “inherently unlikely that the money had come from UMNO”…. PETALING JAYA: Dr Mahathir Mohamad’s media and communications adviser today said the mystery over the RM90 million allegedly paid to PAS leaders should now be solved by the authorities, following the recent out-of-court settlement reached by PAS president Abdul Hadi Awang and Sarawak Report editor Clare Rewcastle-Brown. Kadir Jasin said the truth of the allegations by Rewcastle-Brown in her article published in 2017 could only be known if police and the Malaysian Anti-Corruption Commission (MACC) open an investigation into the case. He said the allegations by Rewcastle-Brown in the suit raised questions over PAS leaders commitment to Islamic principles. “Even if Hadi is in the dark about the alleged RM90 million donation, the detailed facts and arguments by Clare were damaging to PAS,” Kadir wrote on his blog today. Kadir today said details of Rewcastle-Brown’s counter suit against Hadi had among others revealed that PAS leaders had spent the money extravagantly. 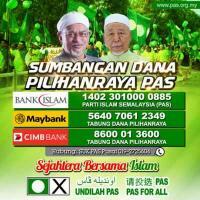 “Clare revealed how they purchased houses and cars at a time when PAS members and supporters were asked to contribute towards the party’s legal fund in the name of its struggle,” he added. The core of the matter in Hadi Awang‘s suit against the SR/Clair Rewcastle is the allegations that PAS leaders received RM90 mil from Najib. If out of court settlement did not cause the removal of SR article then the allegations stands and public have excess to it. PETALING JAYA: An out-of-court settlement between Abdul Hadi Awang and Sarawak Report editor Clare Rewcastle-Brown will not change public perception about PAS leaders, a lawyer said today. SN Nair said the allegations that PAS leaders took money to support Umno and Barisan Nasional (BN) would remain in public memory even after the withdrawal of the defamation suit. “A settlement does not negate the original allegation by the defendant (Rewcastle-Brown),” the senior lawyer said. He added that Hadi should have continued with his legal battle until he received a declaration from the court. “A plaintiff, or one who files a plea, files a defamation suit to vindicate himself to obtain compensation for damage done to his reputation,” he said. Alternatively, a plaintiff would demand a public apology with or without costs, and offer to withdraw the case. 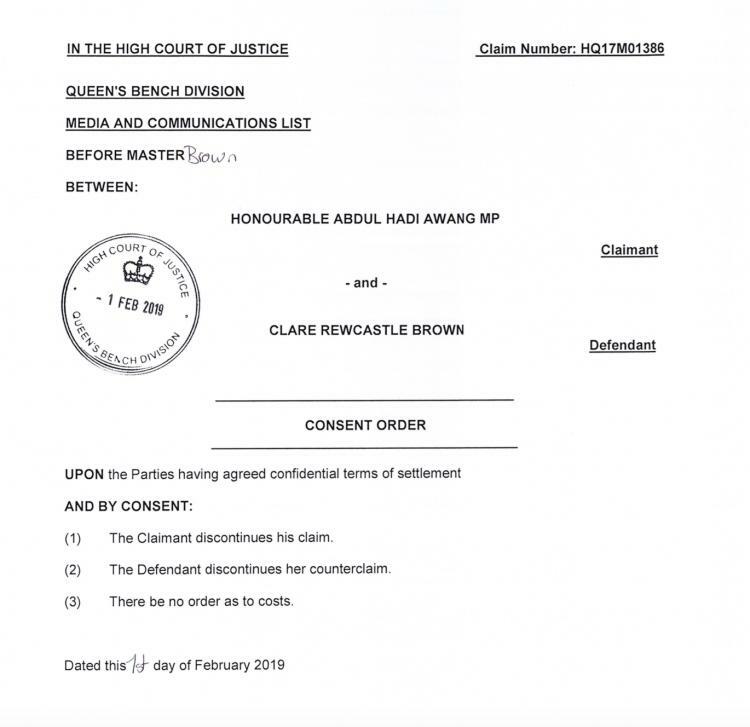 Under the settlement, however, Hadi had agreed not to disclose the terms of the settlement with Rewcastle-Brown. Despite the out-of-court settlement, Rewcastle-Brown’s article remains online and unaltered. Nair said in a defamation suit, it is the plaintiff who will be on trial and who should therefore consider carefully whether to go to court. “Once filed, the plaintiff must go all out to clear his name and obtain the remedy sought,” he added. Senior lawyer Ang Hean Leng meanwhile said Hadi’s action meant the status quo would remain unchanged. He said it appeared that Hadi’s action was not properly planned. “It also reinforces the perception that the legal action was ill conceived,” he added. Sarawak Report once again owes thanks to many Malaysians who came to our support against attempts at legal bullying by the political party PAS, which through Hadi sought to force a retraction and discredit this site in advance of the last election. The commentary “As Najib Denies All Over 1MDB Let’s Not Forget His Many Other Criminal Connections” has remained online throughout this case and is still online, despite PAS’s president Hadi Awang having withdrawn his case. Sarawak Report stands by the article sued over, including the fact the article never even referred to Hadi. Sarawak Report denied that meaning, but asserted that it was true there was evidence of money flowing into PAS. We stuck to our guns amidst attempts to cost us huge sums of money and a mass of online villification and libel perpetratated by supporters of PAS and Najib. In April, just before the election, PAS leaders even went so far as to falsely claim that they had somehow ‘won’ the bulk of the case a full year before it was due to come to court. 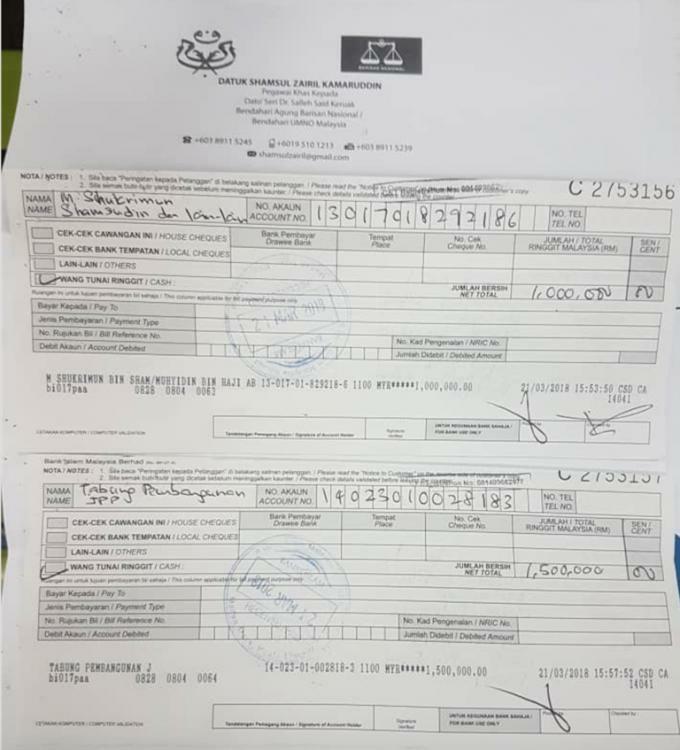 Sarawak Report had merely paid costs relating to case management disputes. As part of the settlement Sarawak Report has dropped its counter-claim relating to the harassment by PAS and Najib supporters linked to the case. The remainder of the settlement terms are confidential. Libel suits are often employed by powerful individuals, who have access to the wherewithal to pay the outrageous fees of London law firms such as Hadi’s Carter Ruck. Generally, the expectation is that defendants will buckle rather than meet the ruinous costs of standing their ground. However, anyone pursuing a libel action ought to be sure that they are ready and willing to end up in the witness box. 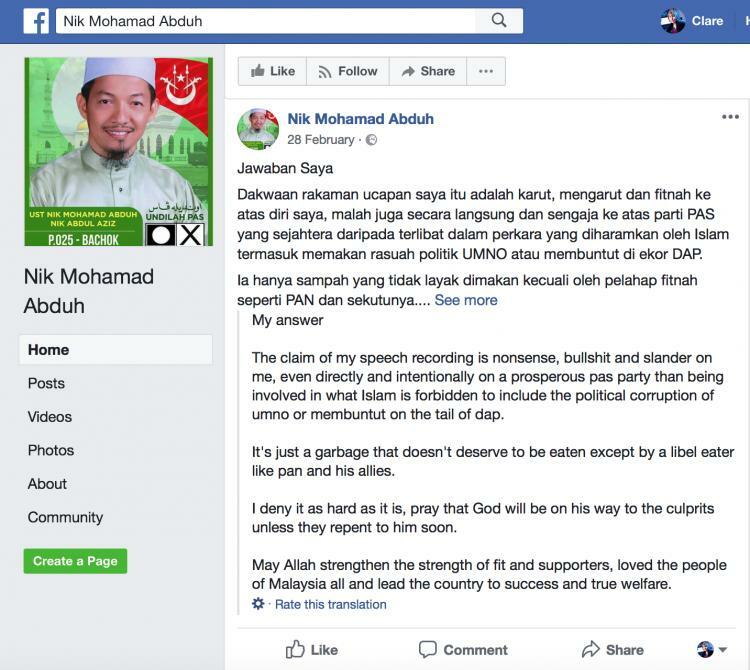 Another lesson for potential libel claimants is Hadi’s libel action has given enormous publicity to the article and his alleged meaning, which now remains in the public domain.